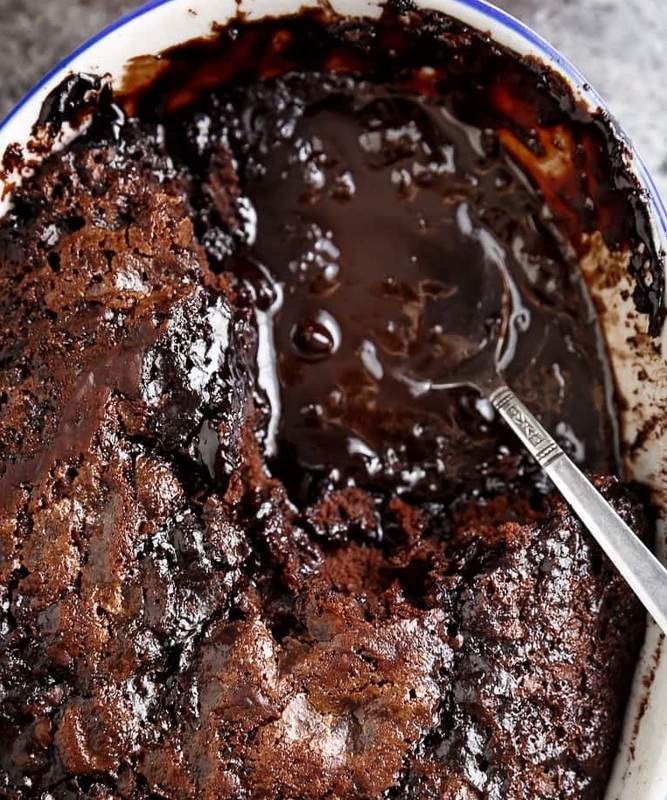 Hot Fudge Chocolate Pudding Cake is extremely easy and FAST to make! 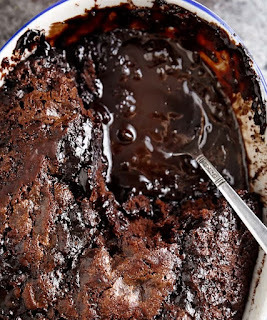 A rich chocolate fudge sauce forms underneath a layer of chocolate cake while baking, by itself! Preheat oven to 350°F (175°C). Lightly grease a 9-inch square baking pan*. Pre-boil water in a kettle while preparing cake. Combine 1/2 cup granulated sugar with the flour, cocoa powder, baking powder and salt. Add in the milk, butter and vanilla; whisk until smooth and fairly lump free. Pour the batter into prepared baking pan or dish and spread evenly. Combine together the remaining 1/2 cup white sugar, brown sugar and remaining 3 tablespoons cocoa powder. Evenly sprinkle mixture over the batter. Slowly pour the boiling water over the top (DO NOT STIR OR MIX INTO THE BATTER. ALLOW THE WATER TO SIT ON TOP). Bake 35 minutes or until the centre is almost set. Remove from oven. Allow to cool for 15 minutes. Serve in dessert dishes with ice cream or whipped cream, and spoon fudge sauce from the bottom of pan over top of each serve of cake.